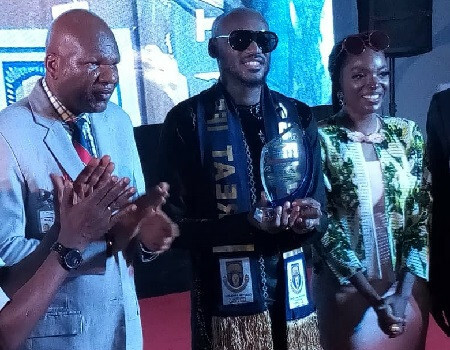 Another cap was added to the feather of legendary singer, Innocent Idibia, popularly known as 2face, as he received a music fellowship award at the Obafemi Awolowo University, Ile Ife, Osun State, today March 20th. The singer also gave a 45 minutes lecture at the award ceremony. Congrats to him!